Doggie dates have come to Tinder! 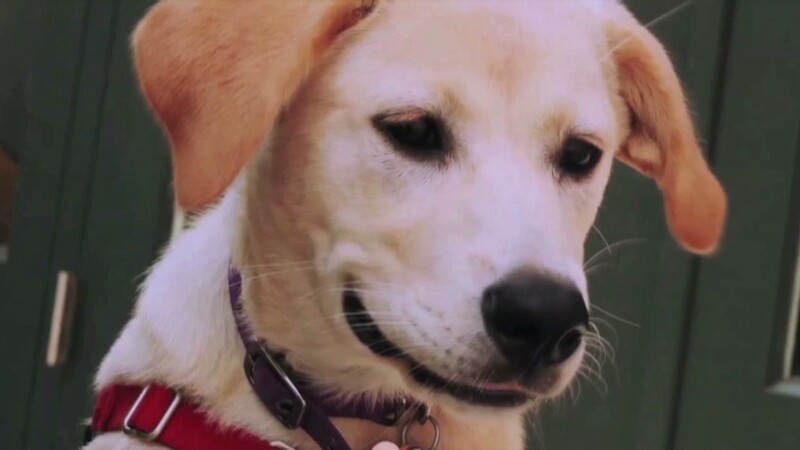 A new initiative to help rescue dogs find loving homes has come to the popular hookup app, Tinder. Profiles of pups in need of love have popped up on the app and have generated 2,000 matches since the accounts were created last Thursday. "Your doghouse or mine?" one dog's profile asks. "11 months old. Pit mix. Fetch fanatic. Adores snuggling up and falling asleep on the couch. Ready to go home with the luckiest animal lover in town," reads another. Tinderers who swipe yes to one of the puppy pics receive a message with a link to a nonprofit that rescued the dog, and they'll get information on adoption and volunteering. For Tinder users looking for short-term commitments, there is the option to foster a pooch for two weeks. For those on the app looking for long-term love, you can adopt a dog permanently. And for those just looking for a one-time hook up, you can volunteer to take a dog for a walk. The accounts were created by a team of three interns at The Barn, a program of the BBH, a creative brand service agency. It's the same program that produced the Underheard in New York initiative, giving phones and Twitter accounts to the city's homeless, and the Cronut Project, which facilitated donations to the Food Bank For New York City. "We wanted to do something good and beneficial that made an impact," said Alexis Mood, one of the interns on the project. The Barn partnered with Social Tees Animal Rescue, a nonprofit based in Manhattan's East Village that rescues abandoned animals from so-called kill shelters that perform euthanizations. 3.9 million dogs enter animal shelters every year, according to the ASPCA. The varied Tinder crowd and the app's system of finding potential matches based on geographical proximity is perfect for the Social Tees' model, Mood explained. There has been no communication between the Tinder team and The Barn/Social Tees camp, and Tinder did not immediately respond to a request for comment. One of the 10 dogs on Tinder has already found a permanent home, with more puppy profiles to be added soon. "People are on Tinder looking for love, and these dogs have a lot of love to give," said Mood.